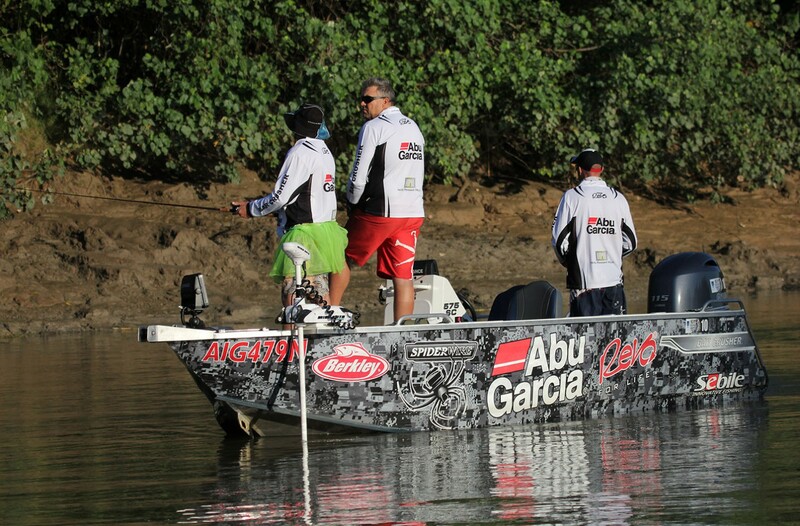 Bar Crusher had a prominent presence at the 20th Club Marine Barra Nationals, with Team Abu Revo making the journey north with its eye-catching 575SC. 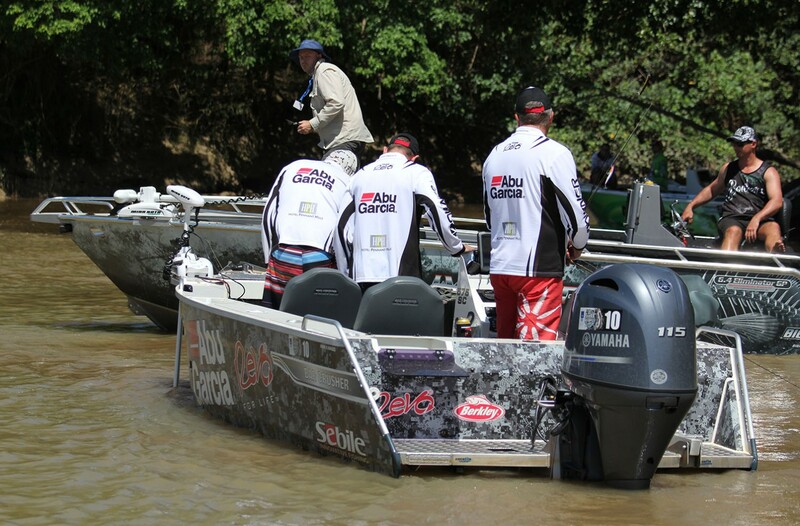 Held on a 70km stretch of the Daly River (NT), this year’s event was the biggest in the tournament’s history with more than 60 teams invited from all over the country. The popular catch-and-release tournament works on a point system, whereby all barra over 40cm in length score points. Fish must be photographed on a measuring board, with the anglers name tag visible in the photo. The exponential point system works in a way that most anglers are chasing big fish, rather than a large number of small fish. 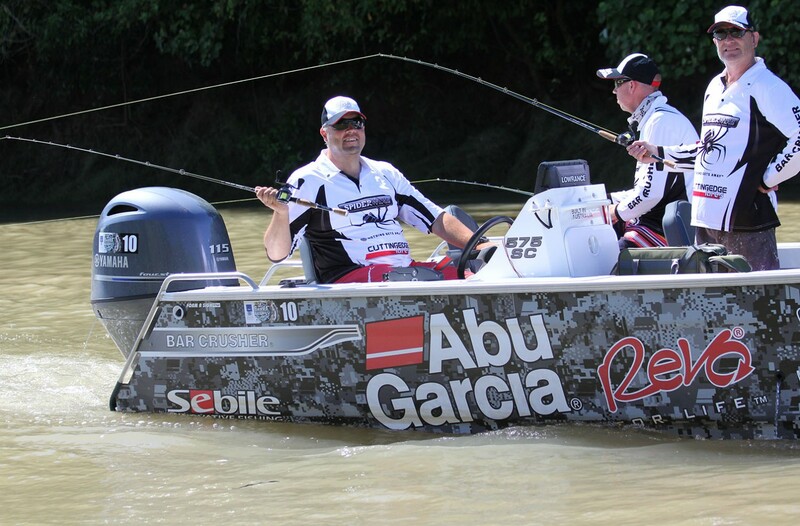 The team with the most combined points from all anglers in that team will be named the Champion Team. 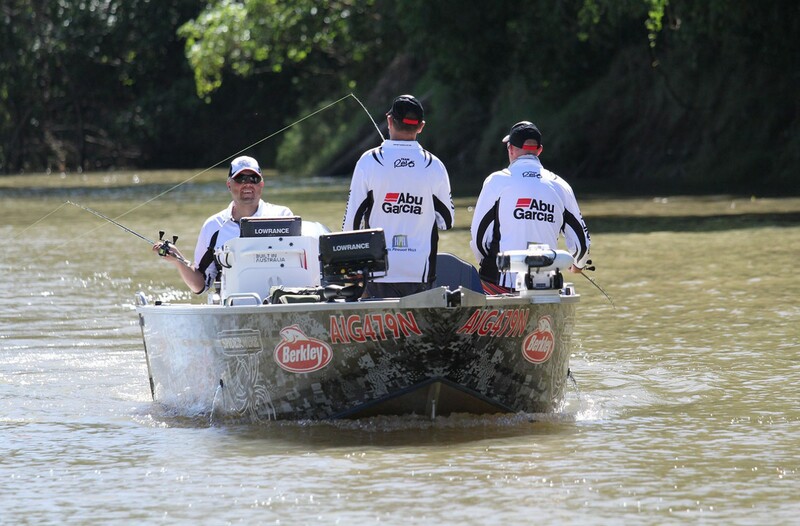 As with all good fishing tournaments in Australia, it’s not so much about the catching as it is having a good time. 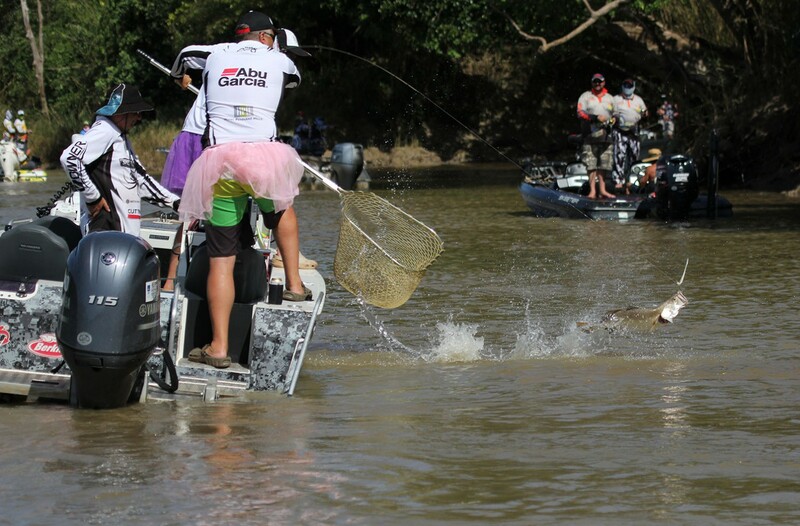 The laughs to be had on this Northern Territory river during the Barra Nationals – from crazy costumes while fishing to live entertainment at night – is what makes it such a popular event. 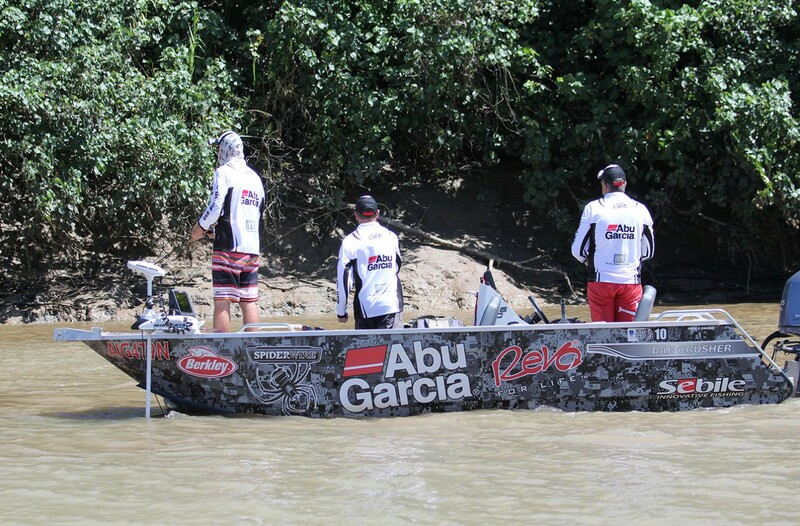 Fishing-wise, the 2015 event wasn’t the year for Team Abu Revo, although the crew will be back at it again in 2016 chasing this sought-after Top End title!